For the third time in one day, a passenger plane has crashed, this time in northern Oklahoma. The first two crashes Saturday took place in the Swiss Alps causing multiple casualties. Oklahoma Highway Patrol confirmed all five people aboard the plane were killed in the crash. The cause of the crash is still not known, according to Lynn Lunsford of the Federal Aviation Administration. "A single-engine Extra EA-400 crashed under unknown circumstances … shortly after taking off from Ponca City Regional Airport," Lunsford said. "The aircraft was destroyed by a post-crash fire." 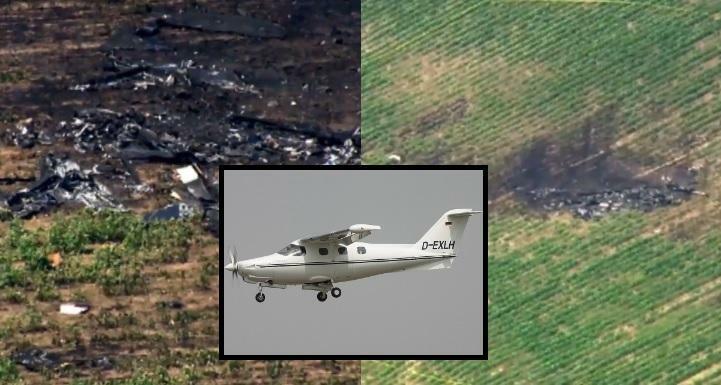 The small aircraft that crashed in Oklahoma was an Extra EA-400 which is a six-seat corporate aircraft with enough space for a single pilot and five passengers. OHP Lt. Kera Philippi said the destruction of the plane's tail number has made identifying the victims difficult and has not released their names yet. An Oklahoma Highway Patrol report said the plane was traveling north from the airport around 10:45 a.m. Saturday. Shortly after takeoff, the plane crashed after it "lost altitude and struck the ground." The bodies of the victims have been sent to the Oklahoma medical examiner's office where they will be identified. The report stated that all five victims were dead at the scene "due to massive injuries". Peter Knudson of the National Transportation Safety Board said the flight was traveling to Ponca City for a breakfast hosted at the airport. Don Nuzum, the manager of the airport, said the Ponca City Aviation Booster Club hosts a monthly fly-in, drive-in breakfast.